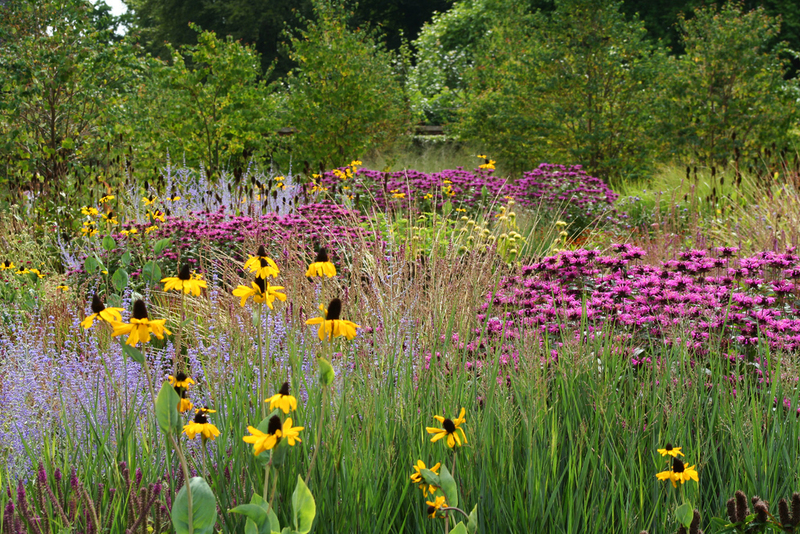 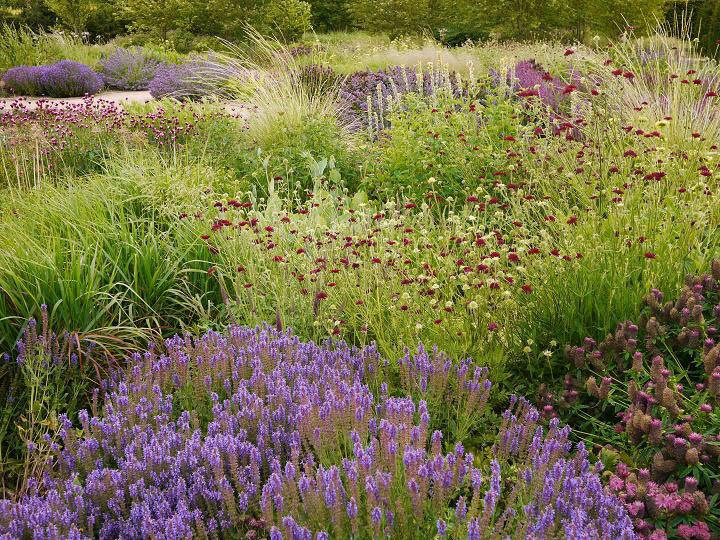 The 4.5 acre Walled Garden was designed by Piet Oudolf. 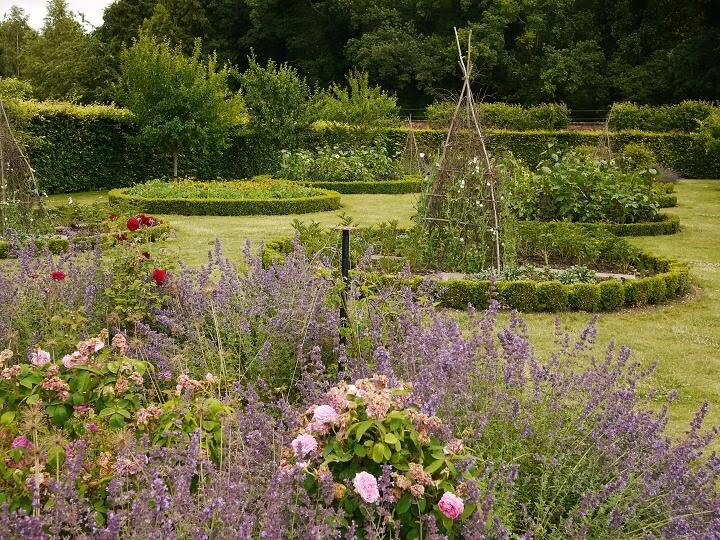 It is set within the 18th century walls of the original kitchen garden. 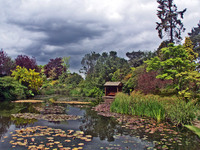 There is a silent garden with a pond and no flowering plants, plantsman's walk and a mount that provides a vantage point to view the whole garden. 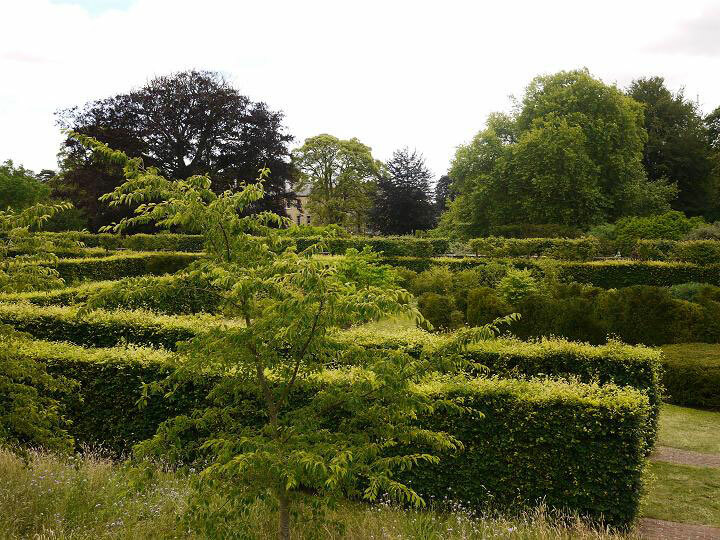 The House is mainly Regency (1801) with a serpentine park. 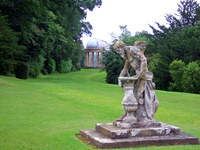 The park was designed by Lancelot Brown in 1772. 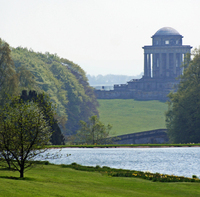 It has an unusual 'Bridge Building', concealing the end of the water, with Ionic columns overlook the water and a sold wall closing the view. 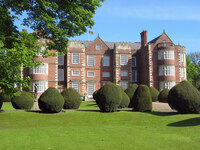 The owner of Scampston Hall wrote to Brown that it 'answers prodigiously well' to his requirements. 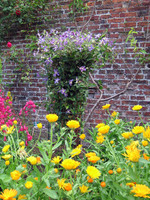 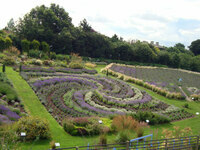 Opening times Walled Garden open early April to October, Tuesday to Sunday. 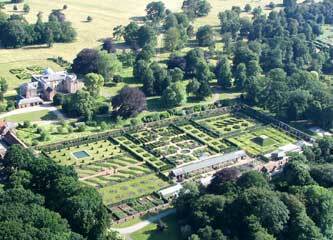 Open 10am to 5pm (last entry 4:30pm).